Meliá Bali is located on Nusa Dua beachfront enclave on Bali’s southern peninsula only a 15 minutes drive away from Ngurah Rai International Airport. The entire property is encompassed it’s spectac.. Located on the shore of the Nusa Dua enclave of Bali’s prestigious resort area, this beachfront resort is a unique sanctuary of exotic beauty and tropical comfort for those who are seeking a dream vacation. The entire property occupies 24 acres of lush tropical gardens with an enormous lagoon swimming pool gently winding throughout the grounds. The resort enjoys an excellent location just 15 minutes from Ngurah Rai International Airport. It is within walking distance to Bali Collection, the main shopping center, food and entertainment malls, a museum, the international 18 hole Bali Golf and Country Club, as well as to the Bali International Convention Center. Nusa Dua – BTDC is a Green Globe certified environment area. It is recognized for its top international safety and security systems. 494 accommodations consisting of: 219 Superior rooms, 145 Deluxe Garden Room, 50 Duplex Suites, 60 THE LEVEL Duplex Suites, 9 Deluxe & Family Suites, 1 Executive Suites are the height of contemporary luxury highlighted by indigenous teakwood and furnishing with jewel tone accents. 10 private garden villas are set in a secluded compound away from the rest of the resort, inclusive of a manicured tropical garden, personal plunge pool, outdoor dining environment, and luxurious sunken tub and outdoor shower recess. 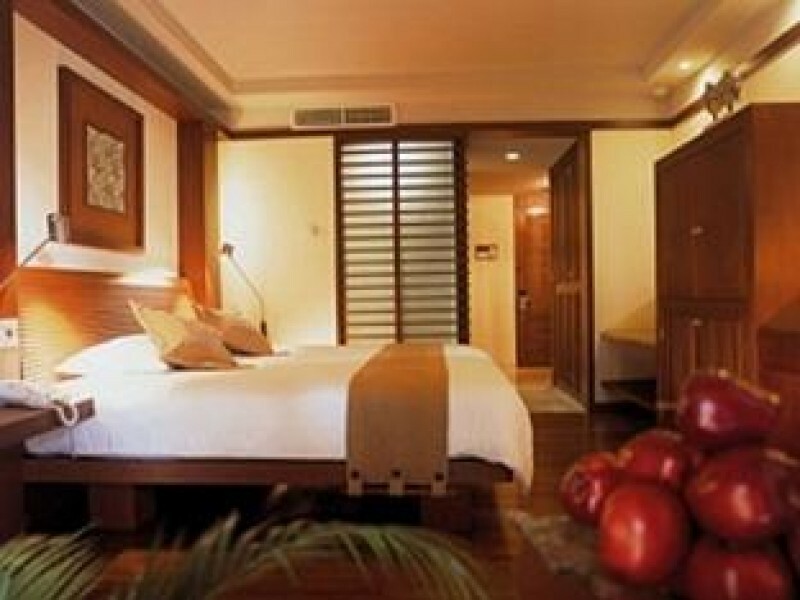 Meliá Bali also has selections of non-smoking rooms.